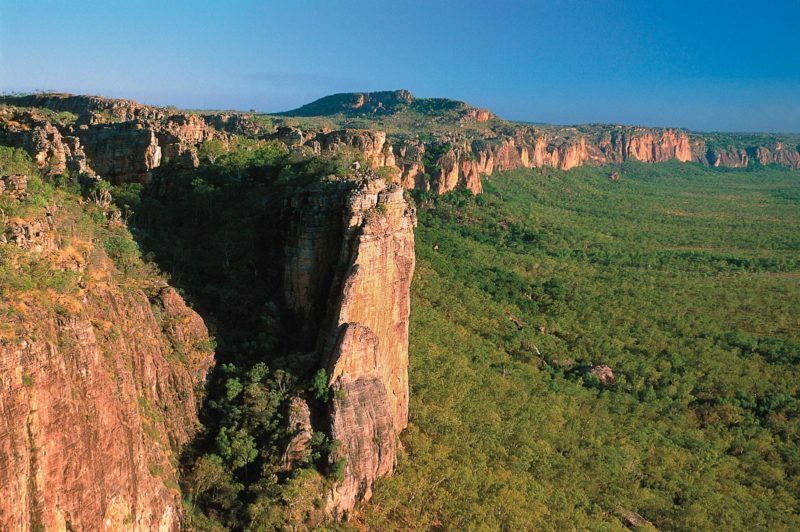 Elsey National Park is a haven for those wanting to relax in warm, crystal clear pools, explore historic sites, and enjoy river fishing. 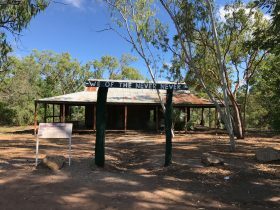 The serene Roper River meanders through this picturesque national park, with boat ramp access at 4 Mile and 12 Mile. The park also has a rich heritage and was the setting for Jeannie Gunn’s ‘We of the Never Never’. 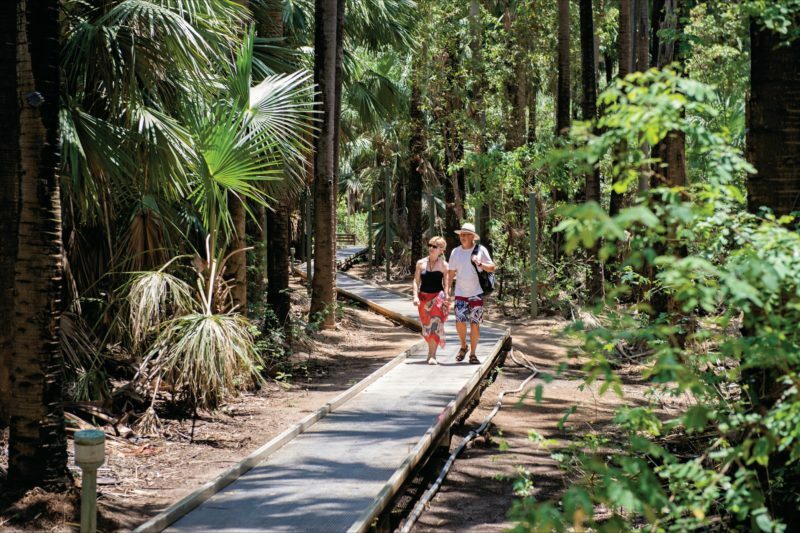 Take the Botanic Walk, an easy 1.5 kilometre loop and marvel at the park’s diverse plant species, or enjoy the eight kilometre Riverside Walk to Korowan / Mataranka Falls. Swimming is only recommended at the thermal pools. 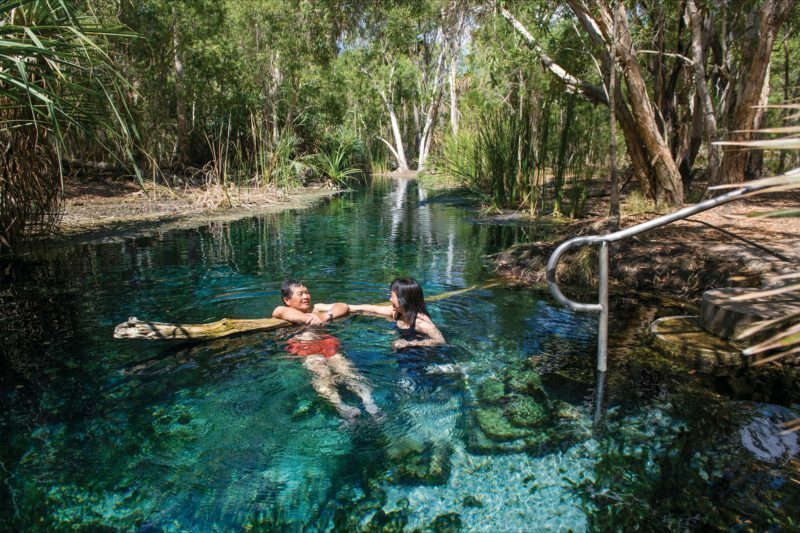 Mataranka Thermal Pool is a well-known feature of the Park. 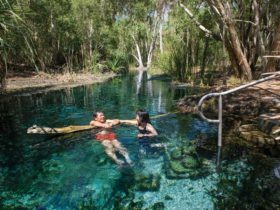 Rainbow Spring rises from underground at 300 litres per second at a temperature of 33 degrees Celsius, which is then contained in a swimming pool. 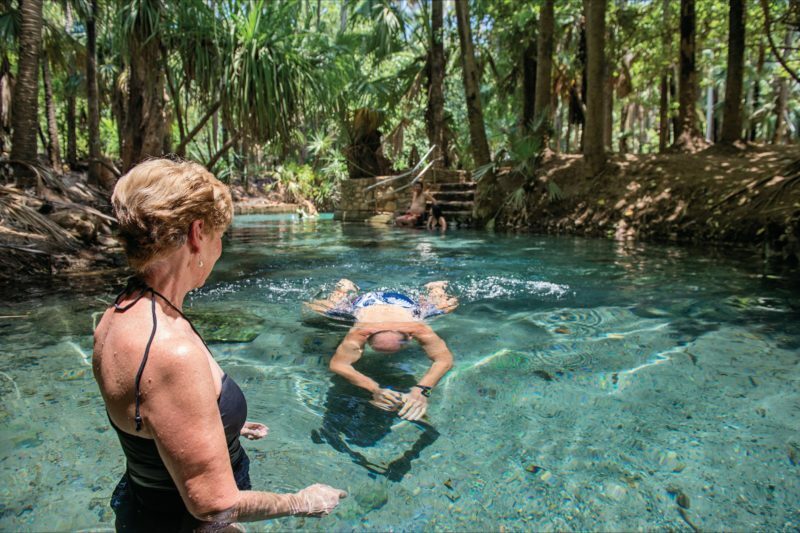 Bitter Springs is also close by – surrounded by rainforest – the famous ‘float down’ is not to be missed. May be inaccessible between November and April due to flooding.